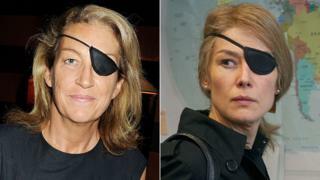 A US court has witnessed the Syrian government obligated for war correspondent Marie Colvin’s death, just as a movie about her arrives in UK cinemas. On Thursday, Colvin’s death in 2012 was deemed an “extrajudicial killing” by US District Judge Amy Berman Jackson, who dictated President Bashar al-Assad’s government to pay $302.5 m( PS231m) in damages. Colvin died in the besieged Syrian municipality of Homs alongside French photographer Remi Ochlik when the building they were in was shelled. It was an “unconscionable crime”, according to the gues. And it features in A Private War, in which British actress Rosamund Pike represents the colossal Sunday Times correspondent.